When you use any applications, it is possible to experience an error. Error can happen for any reasons such as the app version is not suitable with the model of your device, you need to upgrade your phone, you need to switch the setting of your phone and any other reasons. When you use Kingroot, you may have experienced root authorization error and then you do not know what to do with it. Most people will be panic when something wrong with apps or anything bad happen to their phones. However, if this error happens to you, you are able to try to solve it by following the steps below. First, you need to open Hoverwatch app and then choose “Remember permanently” and tap “Allow”. After that, tap Kingroot icon to open it. In the Kingroot app, there are three dots in the top right side of the screen. Click that and then tap Settings item. Now, tap “Do-not-clean list” and then tap “Add” button and add “Sync Service” app. After that, you have to select “Advanced permissions” and then “Root Authorization” must be tapped. Now, you have to check “Sync Service” app has Allow permission. Then, you are able to return to “Advanced permissions” and then tap “Silent install block”. In the Silent Install Control, choose three dots in the top right of the screen and then tap “Disable” item. Now, tap OK button and then you have to go back to “Advanced permissions”, tap “Autostart Monitor” and last enable “Sync Service”. It seems that the process is a little bit complicated. 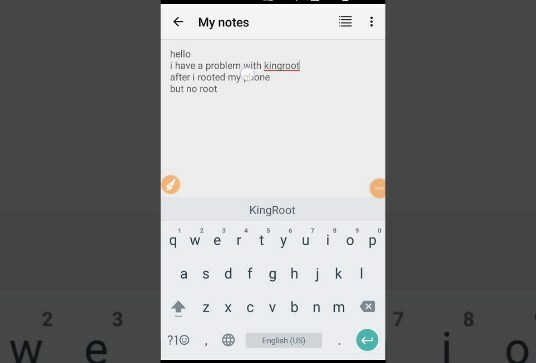 However, if you try it, actually it is easy and hopefully this method can help you to fix the error of root authorization when you use Kingroot. Some of you probably just used Kingroot on your phone but you do not really know the functions of this app. Kingroot permits getting of root access while avoiding utilizing any third-party recovery application into mobile devices. It is recommended to do for people who have a minimal understanding of using their minimal functionalities of their phone. The function of this app can deploy itself from the cloud to the mobile device while depending on what is indicated by the ROM information. Any services such as Samsung KNOX and Sony RIC will still operate while the app is open. Users are not able to unroot their mobile devices at a single tap. Kingroot is also good to do for people who are experiencing slow down and poor performance from their mobile devices since they are able to delete any unnecessary applications or bloatware through rooting. Applications and bloatware are able to consume a lot of system resources if left unchecked. The battery is drained, storage is full and RAM is clogged but they are usually pre-installed in mobile devices by their manufacturers as a bonus. However, these apps are not important content and also means to advertising. Well, hopefully this explanation can help you in understanding about the function of Kingroot also the steps above can help you in fixing the root authorization error. Related Post "Kingroot Root Authorization Error"